Let’s face it: The general market sentiment for off-prime shopping centers, and even for well-performing assets in less prominent locations, is currently shaped by increased investor uncertainty about the future performance outlook for the asset class as a whole. Consequently, not much has happened in the European shopping center sector since the beginning of this year. Fueled by scary dead mall experiences in their homeland, many North-American capital sources expect the European shopping center sector to face strong headwinds. UK-based fund managers have also stepped on the brakes for capital allocations in European retail at current yield levels, and even the typically robust German shopping center investment market seems to be taking its long-expected break this season. 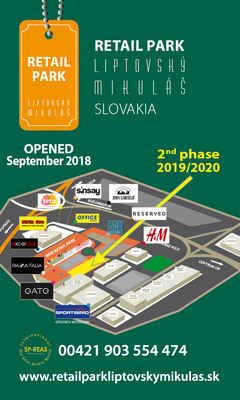 The level of disruption in brick-and-mortar retail triggered by innovative online retail concepts and the soaring wave of digitalization has, in the meantime, become disturbing for the traditional real estate investment mechanics, so much so that even sophisticated retail investors refrain from business as usual. While only a limited number of top assets has been traded – for good reason at pretty aggressive net yields – many European shopping center owners have decided to keep their crown jewels in their portfolios and, instead, make use of their best assets to generate decent income returns to their underlying investor bases during the continued prevailing low-interest rate environment across the eurozone. Notwithstanding this, disposal programs have been moved forward for non-strategic assets, and a wall of not necessarily unattractive shopping centers in perhaps less prominent locations has hit the market instead. Needless to say, the tertiary investment stock will, in some form, always be on the market anyway, and investment managers will be engaged to carefully separate the good from the bad and the ugly. More often than not, however, willing sellers and potential purchasers at this point in the cycle seem to have different opinions on the fair market value of assets. Undifferentiated bidding processes no longer guarantee disposal success. We have observed that promising deal negotiations get stuck, and mitigating risks of an investment seem to be equally important to identifying the right strike price. Complex deal solutions need to be engineered between the parties so that both buyers and sellers ultimately feel comfortable proceeding with the transaction. Thus, deals take time. In addition to some extent, yields will have to move outward to compensate for perceived market risks. For the prime end, however, we expect yields to remain close to their historic lows and to move inward for super-prime trophy assets. The above holds particularly true for assets with ongoing capital expenditure programs, such as major refurbishments or comprehensive tenant-mix restructuring. Even in cases of smaller shopping malls, such phased projects can easily drag on for a period of two to four years due to the complexity of operation on site and a tangle of interrelated contractual relationships to be mastered. Transacting such halfway-finished assets in their unstable performance situations is like changing the driver of a car at a speed of 50 miles per hour. A risky exercise, which requires an additional risk premium for investors who take over the steering wheel. Only advanced professionals should carry out such maneuvers.